Are "Turn Lefts" and "Recalculating" as Dangerous as Texting? The National Highway Traffic Safety Administration (NHTSA) is looking for strict regulation of smartphone navigation apps after making the claim that they are just as harmful to drivers as texting while driving. After a driver in California successfully fought a ticket he received for using his phone as a navigator, the Department of Transportation and NHTSA are looking for more black-and-white rules about apps people can use while operating a vehicle. Application developers are pushing back, saying that the resources they need to create software without any manual interaction are simply out of reach – to them, bans on these apps would severely damage their business. NHTSA is encouraging automakers to build the technology into dashboard computers. These would take significantly less interaction, allowing the driver to keep more attention on the road when navigating. 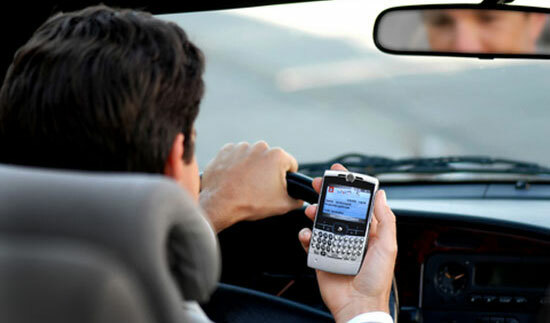 Were You Injured in an Accident Caused by Distracted Driving? No matter what causes a distraction, drivers have a responsibility to keep their attention on the road. If you or a loved one were seriously hurt by a distracted driver, contact our law firm today. You may have a case. We answer our phones 24/7 for people injured in accidents, just like you. Get in touch with us to find out what we can do for you. Source: "DOT: Navigation behind the wheel just as dangerous as texting." CBS News. June 27, 2014.